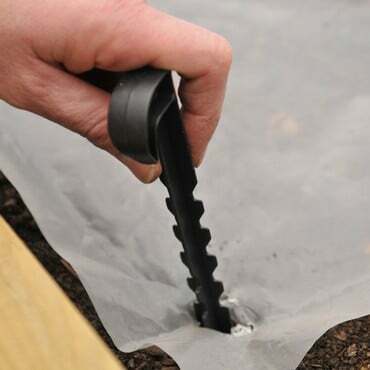 The Extra Heavy-Duty Pigeon Netting is a superior quality, high density polyethylene knotted netting with 8cm mesh designed to stop wood pigeons feasting on your crops and plants, available by the full square metre or in extra value packs. Width: 2.0m - 6ft 6" Width: 4.0m - 13ft 1"
Length: 5.0m - 16ft 4" Length: 10.0m - 32ft 9"
Enter LENGTH (whole metres) and WIDTH (whole metres) below and click Generate Price. If ordering more than one Cut to Size piece of netting please add to basket separately. 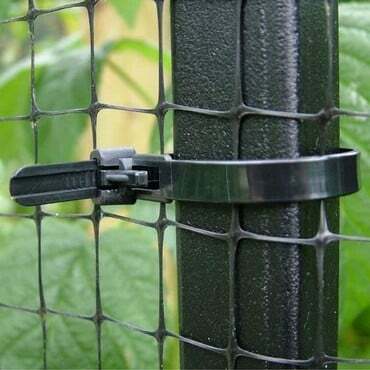 Extra Heavy-Duty Pigeon Netting is a superior quality, extra heavy-duty, high density polyethylene netting with an 8cm (3") heat sealed knotted square mesh which ensures protection against wood pigeons and similar sized birds - for smaller birds please consider a finer netting. 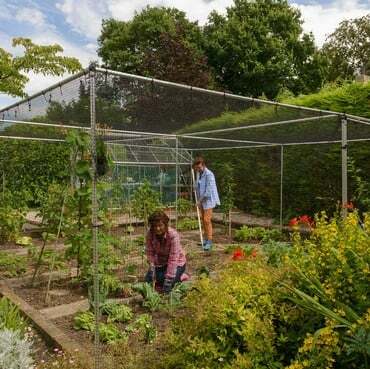 This can be also be used as an alternative summer Fruit Cage roof net. If ordering more than one cut to size piece of netting please add to basket separately. 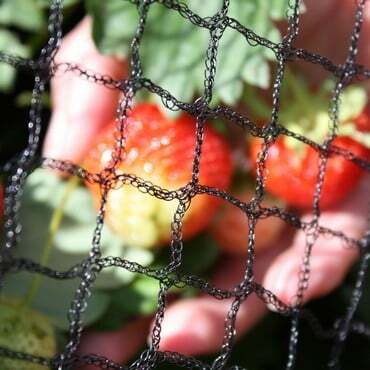 Samples of all Harrod Horticultural netting are available on request - please e-mail our Customer Services Team or telephone 0333 400 6400 (local rate) with the samples you would like. Had to buy this product due to a neighbour a few doors away deciding white pigeons in a Dove cote would be nice, unfortunately they spent most of their time in our garden bathing in the stream leading to our pond. A garden full of white feathers isn't what I wanted but I'm glad to say this netting seems to have solved the problems. 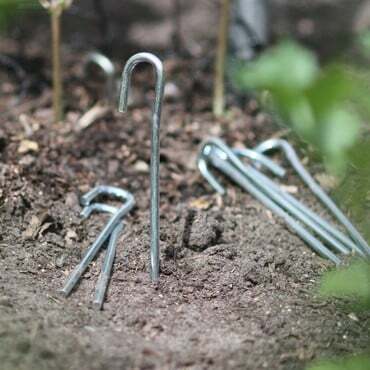 It's good quality and easy to use, would highly recommend if you have a problem with large birds. 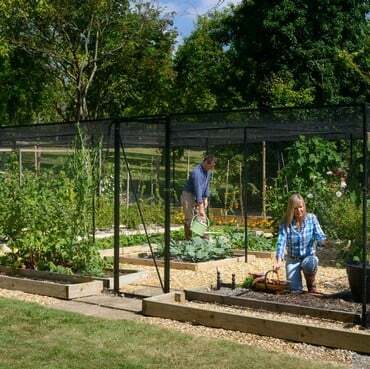 I recently purchased some pigeon netting to protect my vegetable garden around a frame I built. The order was despatched and delivered very promptly. I was surprised how robust it was and how easy it was to erect. I would recommend this product. I already have a fruit cage and its brilliant, stood up to all sorts of weather and proving to last the test of time. 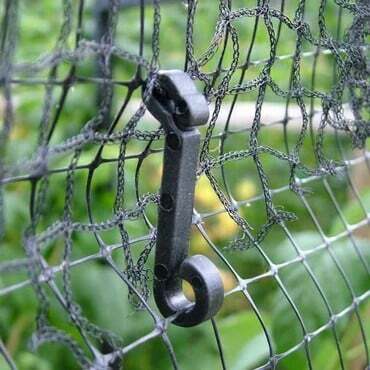 My latest purchase was this netting to cover over a poultry run. Brilliant quality, as I've come to expect from this company, perfect fit and packaged well. When you receive your netting it will look like a diamond shape with two long tails at each end. 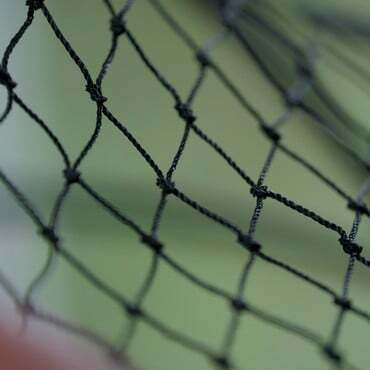 If it is pulled out the wrong way this will result in the netting being the wrong shape and size. How do I open my netting out to the correct size? 2. Measure along any side from that point until you reach another piece of string (marked blue above). This will match one length of the size of the netting you have ordered. 3. Keep hold of that point and start measuring again from this piece of string until you reach the other tail (the other red piece as above). This will match the other length of the size of netting you have ordered. 4. 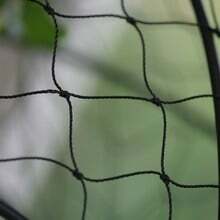 If you then stretch out the opposite blue corners and peg all four of them down this will form the correct shape and size of netting you have ordered. 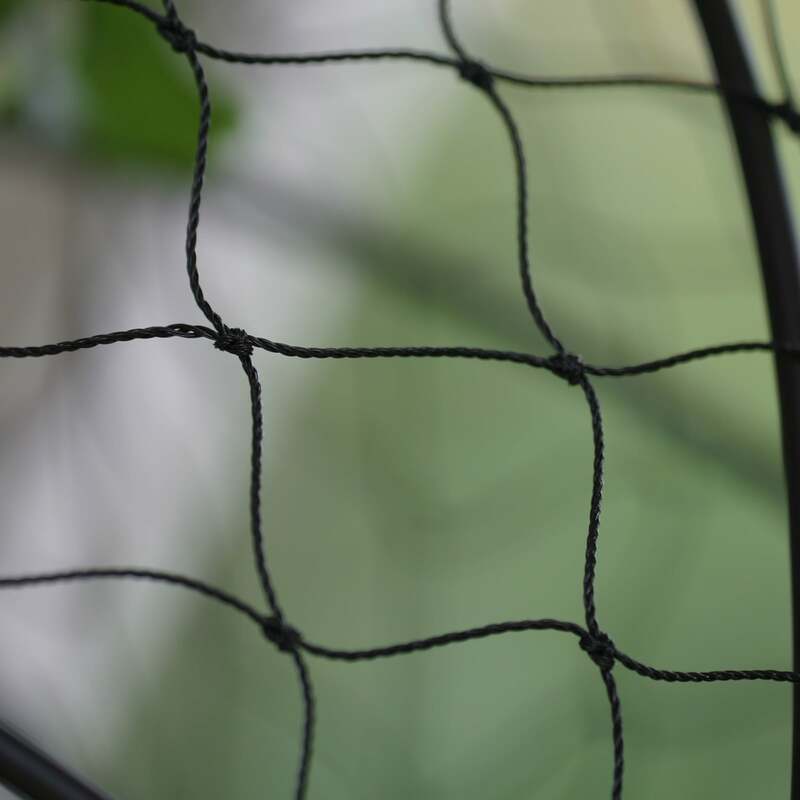 The Pigeon Netting can also be cut to any size or shape, either email or call Customer Services on 0333 400 6400 to discuss your requirements.